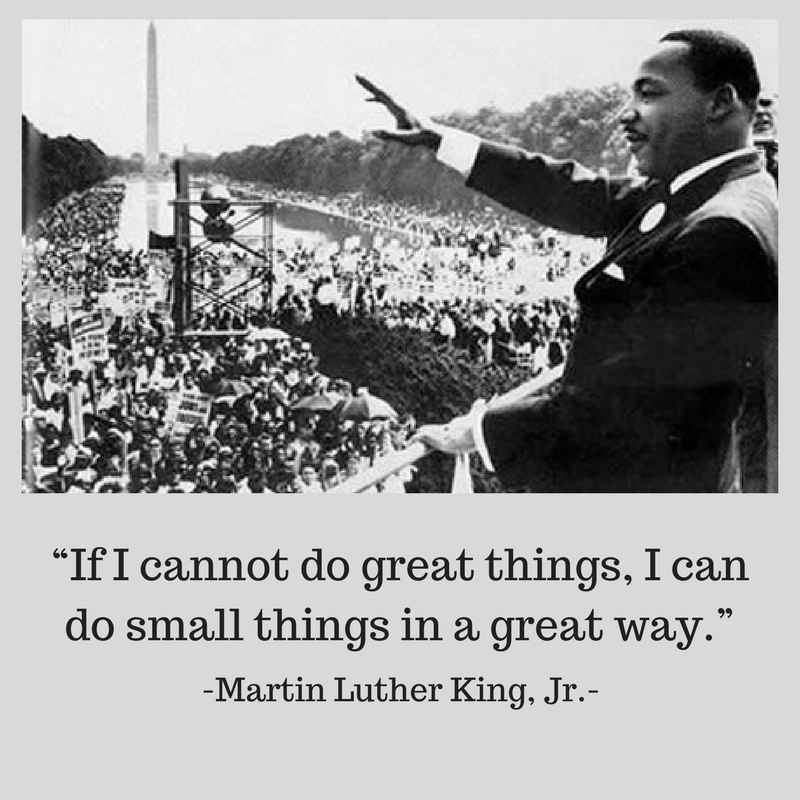 Dr. Martin Luther King, Jr. once said, “If I cannot do great things, I can do small things in a great way.” During the Civil Rights Movement, the goal was to achieve one great ideal: equal rights. However, equality couldn’t be achieved without smaller, individual contributions from prominent leaders and lesser known advocates. Just because an act of service or outreach is small doesn’t mean it’s not quality. Much like the Civil Rights Movement, the Health Center Movement has made grand achievements. Collectively, health centers do great things, but the less pronounced work of our advocates is what keeps up the momentum. In 2016, our grassroots advocacy network grew to over 100,000 advocates. Not to mention, several health centers received expansion grants allowing them to serve 25 million patients. When thinking of the Civil Rights Movement, it’s easy to focus on the notable figures. Individuals who seemingly changed the American landscape with one brave action like Rosa Parks, Paul Robeson and Harry Belafonte, come to mind. The magnitude and impact of the aforementioned leaders is unquestionable, but consider the tireless efforts of student volunteers at local community offices, the young women who supplied water and food for protesters, or the journalists who went out on a limb to document black Americans living in the shadow of the Jim Crow South or struggling to get by in the urban North. The Health Center Movement was in fact inspired by the Civil Rights Movement. Dr. Jack Geiger and Dr. Count Gibson carried out a vision to make health care accessible and equitable. In addition to providing primary care, health centers were created to address the social determinants of health like unemployment, poverty, and environmental health issues. Health centers grew from 2 to nearly 9,800 in 52 years. That type of expansion only occurs when multiple people from all sides of the aisle do small things in a great way. 2017 represents a new set of challenges for health centers and health center patients. As advocates, we must engage in small yet powerful actions to ensure high quality care is available for the patients we serve. 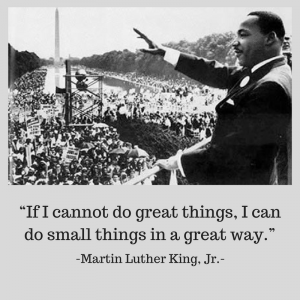 As we honor the legacy of Dr. King, remember that a singular action of sharing health center stories, recruiting an advocate or sending a letter to your elected official is essential to the advancement of the Health Center Movement.